Flu vaccines are no longer available in Calgary, Edmonton, or the Grand Prairie region, according to Alberta Health Services (AHS)—and supplies won't be replenished. Clinics will not reopen for the season, and some doses of the vaccine have been reserved for children. "Children under the age of nine who are receiving seasonal influenza vaccine for the first time this season require two doses... to be fully protected," said AHS in a statement. 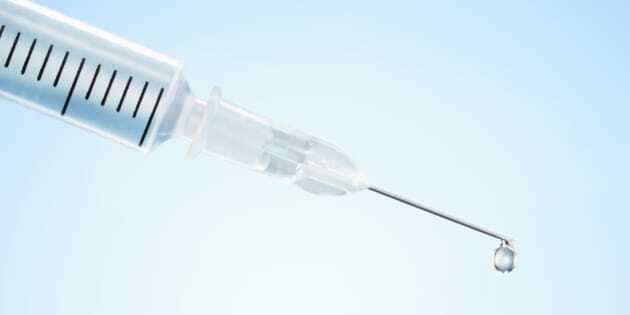 Clinics in Edmonton, Calgary, and northern Alberta ran out on Friday, and AHS says this is the first year demand for the vaccine has been greater than the supply. "We know that not every Albertan will choose to get immunized. As a result, we always have vaccine leftover at the end of the season, including 60,000 doses that went unused last flu season," said Chief Medical Officer of Health Dr. James Talbot in a statement. The province ordered an additional 65,000 doses of the flu vaccine—the last supply available on the planet—to meet this increase in demand. Nearly $8 million have been spent on the flu shots, and almost one million Albertans - about one in four - have been immunized. The H1N1 flu strain has killed nine people, and hospitalized 354 Albertans—83 who have received intensive care—as of Tuesday. Albertans are asked to cover their mouths when they cough, wash their hands often, and stay home when they are sick as precautions. According to Global News, a flu care clinic has been opened in Edmonton for treating people with mild to moderate flu-like symptoms.